As well as a (proper) guesstimate of its asking price! Normally, a Philippine launch doesn't come swiftly for drool-worthy gadgets introduced abroad. Case in point: Apple's latest and greatest iPhones. Which is why we'd like to thank the guys and gals of Sony for not making us believe in forever by launching their most "super" superphone to date here in the country just a month after it saw a global reveal. You guys, rock! And the phone rocks, too! We're talking about the Sony Xperia Z5 Premium a.k.a. the world's first-ever 4K smartphone. We've already gone in detail on what 4K—or ultra-definition for those who like it, erm, long—brings to the table, which can be summed nicely in three (hyphenated) words: eye-popping must-see eye-candy. It's usually found on newer TVs and brings four times the pixel count of the now oh-so-boring Full-HD (1920x1080 vs. 3840x2160). Now imagine having that kind of visual clarity at the palm of your hands. That's basically what Sony promises with the Xperia Z5 Premium. 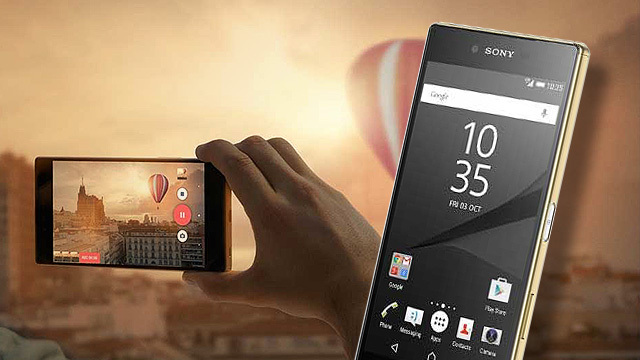 The bad news: Local pricing deets for the Xperia Z5 Premium are yet to be released. However, based on the Philippine SRP of its non-4K but still well-endowed sibling, the Xperia Z5 (P36,000), a really hefty price tag near the P40K range (P39,000 to P41,000) might just be slapped on it. Hardly budget-friendly, but remember that aside from the phone itself, you'll get bragging rights of owning a world's first with a purchase. As for availability, we're told it will be on local store shelves by December 3, with pre-orders set for the last week of November. Our Christmas bonus is now shaking in fear. The Trailer For 'Star Wars: Battlefront' For The PS4 Will Make You Want To Get Out Of The Office Now!